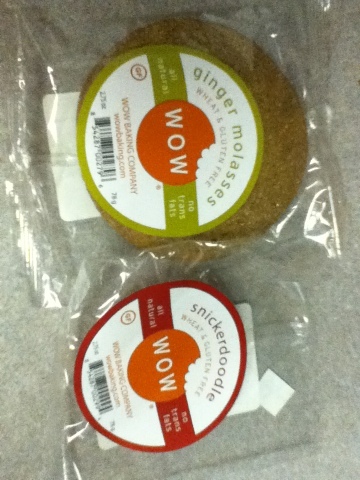 I am in love with these Wow cookies they are so delicious. The soft and gooey texture is to die for and as a bonus the flavours are light and super buttery. I wish the spices would be a bit stronger. But what the heck they are like gooey butter shortbread and I love 'em! I got them at Fred Meyers in the Organics aisle for $2.49 each. 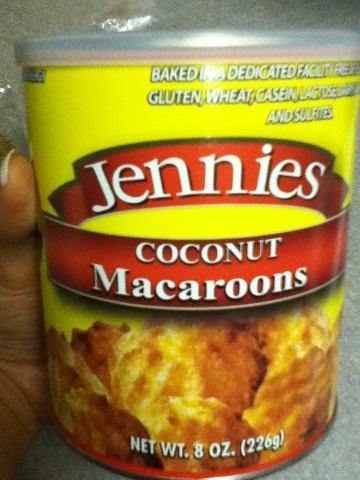 Next up, a tin of Jennies coconut macaroons. Gluten & Dairy free which suits my lifestyle, as readers may not know I have Celiac Disease. So I cannot consume wheat, barley or rye products. Also I am allergic to dairy, which is a complete bummer because I really love cheese. Ok back on topic about these macaroons, they are nothing fancy, they are just golden pyramids of chewy, coconutty (lol) sweetness. They are delicious and I find them to be very filling. They are not like the French style macaron in their beautiful colours, flavours and cream fillings. These are the plain OL' but yummy home style coconut macaroons.